Today a regulatory filing revealed that Pigeonly has raised $875k to help America’s 2.3 million incarcerated individuals communicate with their networks outside of prison. The company’s first product, Fotopigeon, offers inmates family & friends a way to send them printed photos while they’re incarcerated. While the participants in the round have not been disclosed, Pigeonly’s AngelList mentions Naveen Jain as the company’s sole investor. Jain is a serial entrepreneur, having co-founded InfoSpace, Intelius, & Moon Express, in addition to being an active angel investor in startups like Rally.org and Gyft. 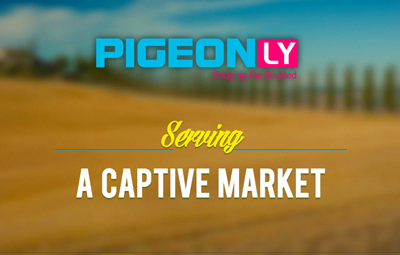 Pigeonly had previously won the Miami Innovation Fund’s Startup Prize of $20,000 in December of 2012. The company was founded by CEO Frederick Hutson, CTO Sabaina Bukhari, and COO Alfonzo Brooks, and Lead Designer Damien Drakes. We have reached out to Pigeonly for comment and will add updates as they come in.